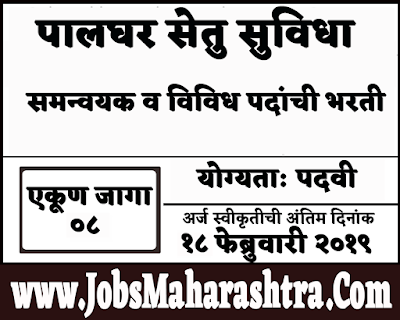 Palghar Setu Suvidha recently released a notification for Project Officer, Assistant Project Officer, Research Officer, Samanwayak Posts. Interested and Eligible candidates who wants to apply for these posts kindly send their applications by email before 18 February 2019. For more details like age limit, salary, how to apply, selection process please refer the below article. 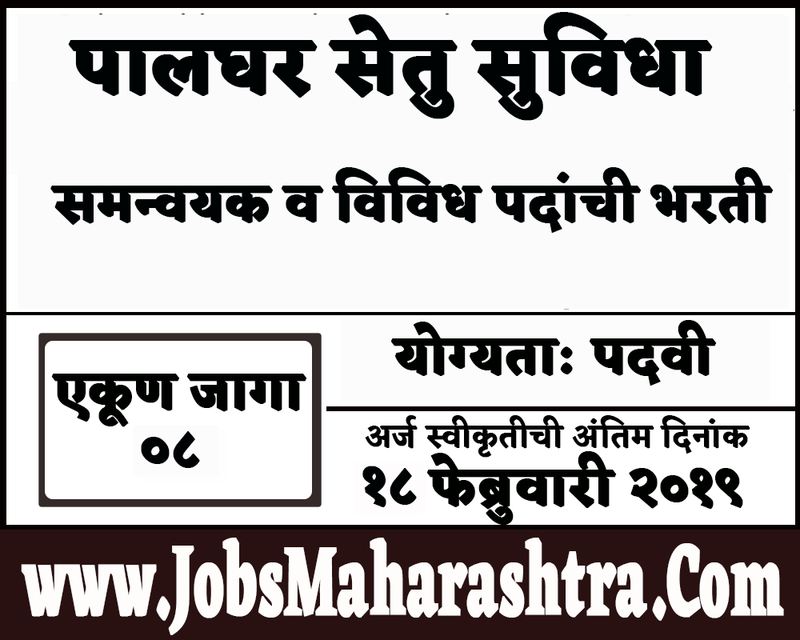 Candidates who are full fill the above given criteria are send their application form on palghardc2018@gmail.com. Application form is attached to the departmental advertising PDF given important web link section. Eligible candidates will be contractually selected by taking a direct interview of interested candidates. The list of eligible candidates will be published on the website of the District Collectorate. Official website given in the important link section.